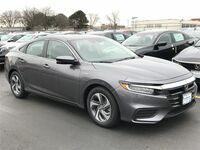 The 2019 Honda Insight is now available here at Continental Motors, giving drivers in the Chicago-area the opportunity to experience the latest model added to the Honda lineup. Offering an impressive style, efficiency and practicality, the versatile compact sedan is ready to take on the hybrid segment. 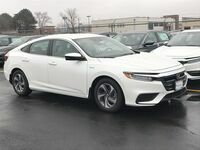 Behind the wheel of the 2019 Insight, drivers can achieve up to an impressive 55 mpg in the city and 49 mpg on the highway for a combined 52 mpg*. 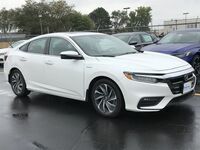 Drivers interested in learning more about the 2019 Insight near Chicago available here at Continental Motors can view the models available here on our site, or visit our location in Countryside, IL. 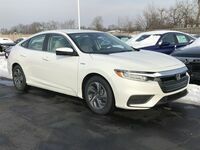 Drivers that are interested in the 2019 Honda Insight have three models to choose from, each of which offers a well-rounded, connected, and premium driving experience, making it a great choice for Chicago drivers looking to save behind the wheel. 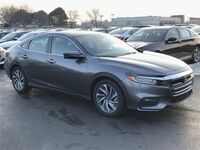 LX – The base level Insight LX model includes a long list of standard features such as the Honda Sensing® suite, a 3-mode drive system, multi-angle rearview camera w/ guidelines, Bluetooth® HandsFreeLink® and more. 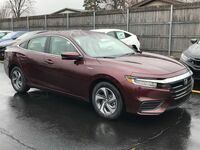 Get this model starting at $22,830*. 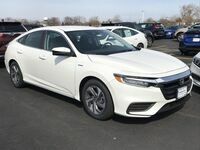 EX – Upgrading to the Insight EX adds a variety of features including remote engine start, smart entry with walk away auto lock, Android Auto, and Apple CarPlay™ integration. 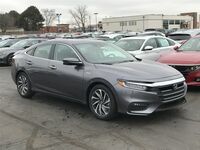 MSRP starts at $24,060*. 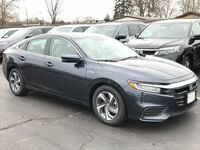 Touring – At the top of the grade is the Insight Touring which offers all of the features mentioned as well as a one-touch power moonroof with tilt feature, heated front seats, leather-trimmed seats, and mobile hotspot capability. Pricing begins with the starting MSRP set at $28,089*. 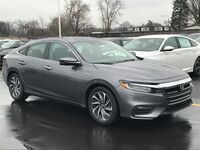 For more information about the new 2019 Honda Insight, contact us today at Continental Motors. *MSRP plus $895 destination charge, excluding tax, license, registration options. Dealer prices may vary. **Based on 2019 EPA mileage ratings. Use for comparison purposes only. Your actual mileage will vary depending on how you drive and maintain your vehicle, driving conditions, lithium-ion battery pack age/condition and other factors.